It’s not often the case that you get to combine both a cutting-edge technology conference with a market that, in many ways, is only just waking up to the possibilities of open source analytics. But that’s exactly what the Great Wide Open Conference (GWOC) is and I’m glad I got to attend this year! I usually go to conferences more to learn from others than to teach, but at GWOC: I was able to do both. I think that’s because in this market – Atlanta, GA – analytics is still getting started as a hot topic/industry and it’s refreshing to be able to talk to audiences who are still “open” and haven’t decided on their preferred technology/methods yet. Speaking with a number of the presenters, I got the impression they felt the same way. 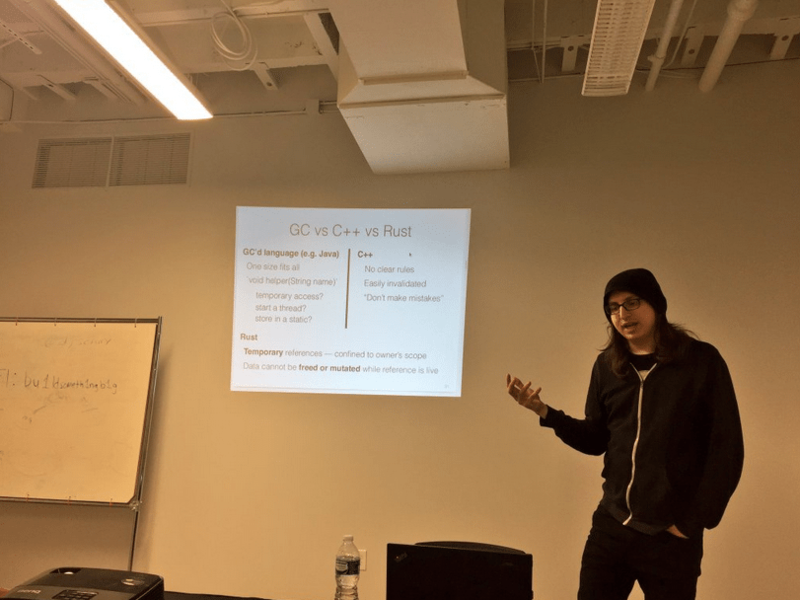 Mozilla’s Steve Klabnik talks about Rust Programming Language. Photo courtesy of Azat Mardan. The talks kicked off with keynotes from Kelsey Hightower (Developer Advocate at Google Cloud Platform) who kept the energy level up by running back and forth between technical demo and talking points; Danese Cooper (Distinguished Member at Paypal, Past CTO at Wikimedia Foundation); Brandon Phillips (CTO at CoreOS); and Christian Heilmann (Senior Program Manager at Microsoft). Each of the speakers filled us in on the contexts in which open source software sits on the very edge of the mainstream. Christian Heilmann, my former Mozilla colleague, even pointed out that he’s produced more open source code at Microsoft than previously at Mozilla! The need for an infrastructure to be able to handle un-structured and semi-structured data. Afterwards, I fielded a number of questions about Fluentd, Embulk and MessagePack. People also expressed interest in Treasure Data itself and expressed how how amazed they were that an entire data analytics pipeline could be built end to end with only open source components! Many of them were starting to get their feet wet in analytics working with data warehouses and ETLs using proprietary tools, and so I am happy that my presentation seemed to serve as a wakeup call and validation to their thoughts. In addition to nearly all of the speakers and organizers of the event, I also had fascinating conversations with many of the attendees, including: Data Engineers, Data Scientists, CTOs and even Human Resources people who are starting to learn about and build out their analytics functions. All were eager to save time, cost and headaches. Was there a common theme? Yes: Open Source is still on the fringe of the mainstream and open source analytics is still largely an untapped market (one that needs demystification). In other words, there are huge opportunities waiting to be tapped. In addition to Todd and Karen Lewis, who were extremely generous during preparation and throughout the event, a shoutout goes to all of those who organized the event. 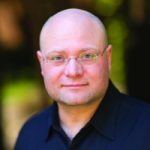 John Hammink is Chief Evangelist for Treasure Data. An 18-year veteran of the technology and startup scene, he enjoys travel to unusual places, as well as creating digital art and world music.